It's been one of those magical days for me. I've been working in the studio finishing up candle clips. It's been cold and dark outside, I've got amazing smelling candles burning, I'm watching a BBC documentary on the Edwardian Farm. Love this series! (You can catch it on YouTube.) Just one of those relaxing days having a blast creating! 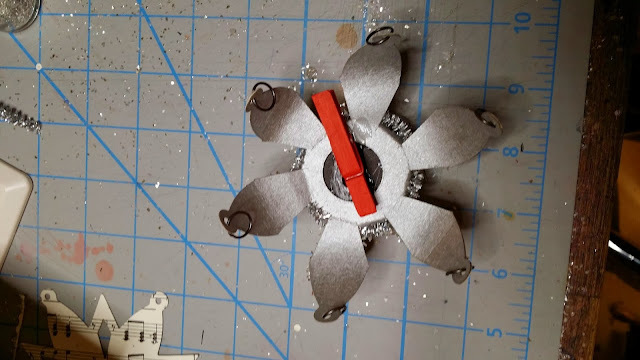 Tonight, I would like to share the spirit of the season with another homemade ornament...A quick how to on making Candle Clips. Now for a WARNING.....These candle clips are just for decoration. The candles are not meant to be burnt. Just to give the look of an old fashioned candle lit tree. OK? OK! 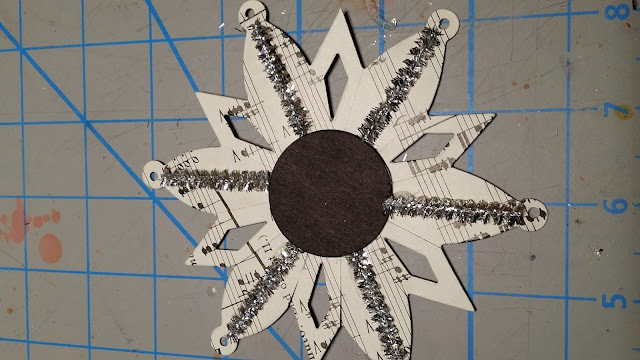 Well, I finally went to look at the Sizzix die I used for the candle clip and if you recall the last ornament I posted. 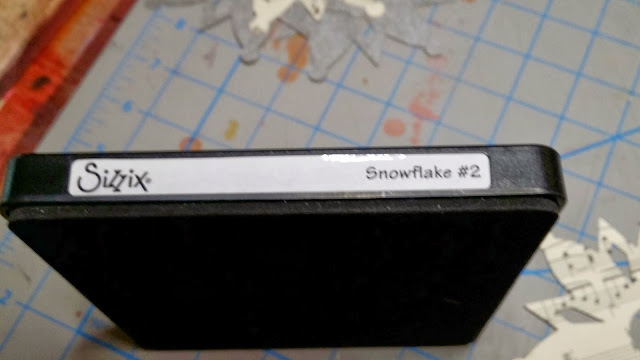 I was wrong...The die is called Snowflake #2. 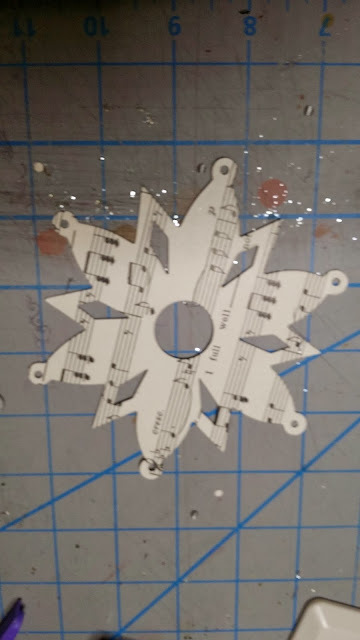 I took a piece of music paper and adhered it to some matte silver or matte gold paper on the back. 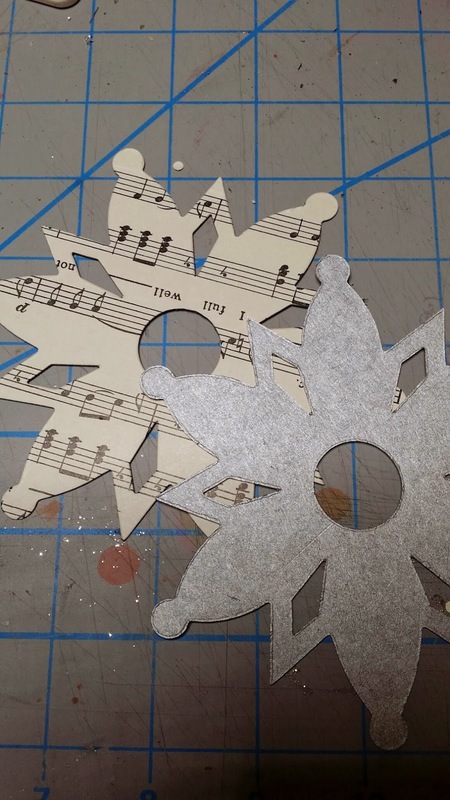 I then cut the paper with the Sizzix Snowflake #2 die. Punch or pierce holes in each of the ROUND tips of the snowflake. With a pair of scissors, cut from the outside inward to the black disk. Do this where you find each of the dips that go inward on the edge of the snowflake. Fold the center pieces in toward the center. 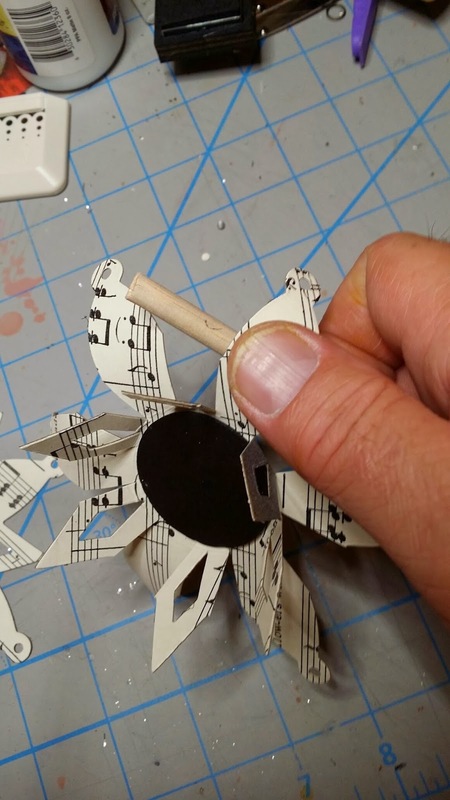 You can curl the tips around a pencil or dowel or just leave them alone. Glue chenille stems to each of the centers of the larger snowflake cuts. Using a dowel, curl the larger pieces of the snowflake downwards. Paint a candle cup with red craft paint. I purchased a bag of (6) Candle Cups 3/4 x 1-inch with a 1/2-inch hole (Item #211318 from Hobby Lobby. 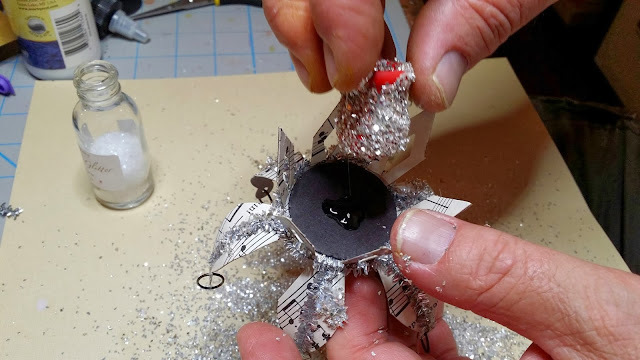 If you can't find these, just hot glue the candle to the center black disk...No Problem. 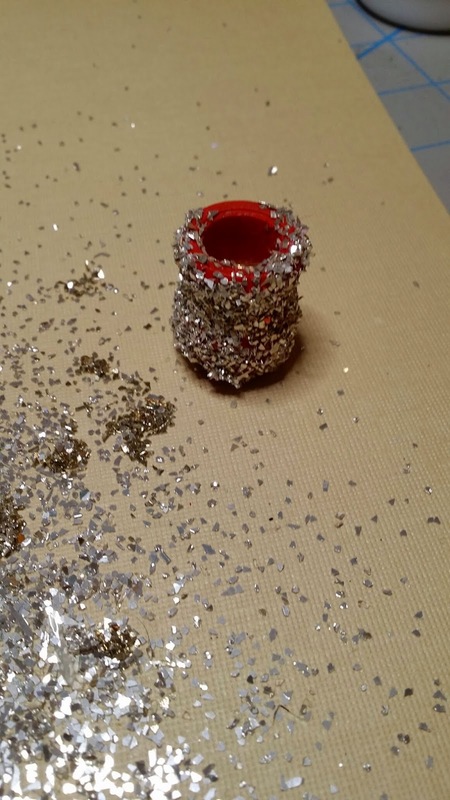 Next, apply glitter to the candle cup and hot glue to the center of the black disk. Apply jump rings through each of the holes we punched earlier. 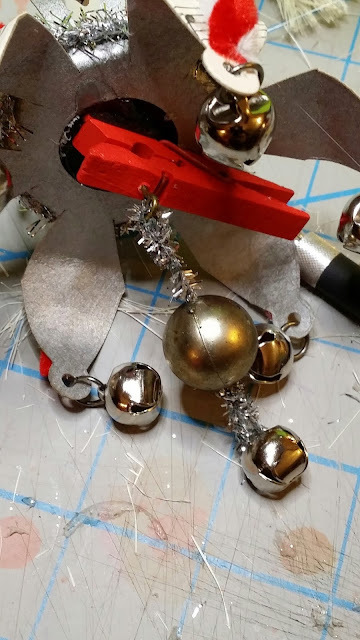 Open the jump ring and add jingle bells, charms, or anything that has a ring or hole at the top for decoration. Paint a tiny clothespin red with craft paint. (The next step is optional...) With a pick or awl, make a tiny hole to start the screw hole on the bottom of the clothespin. It just makes the eye screw so much easier to start, I promise! 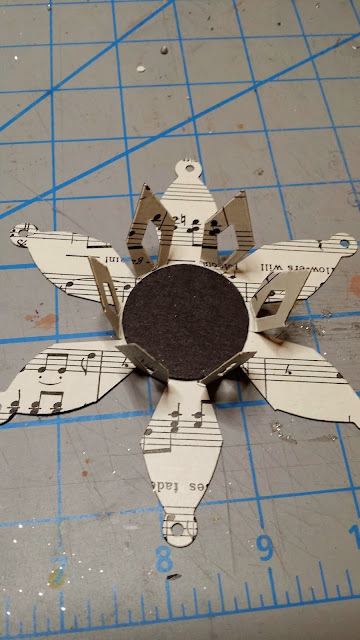 Next, add a Tim Holtz eye screw to the hole. Glue the clothespin to the bottom of the candle cup. 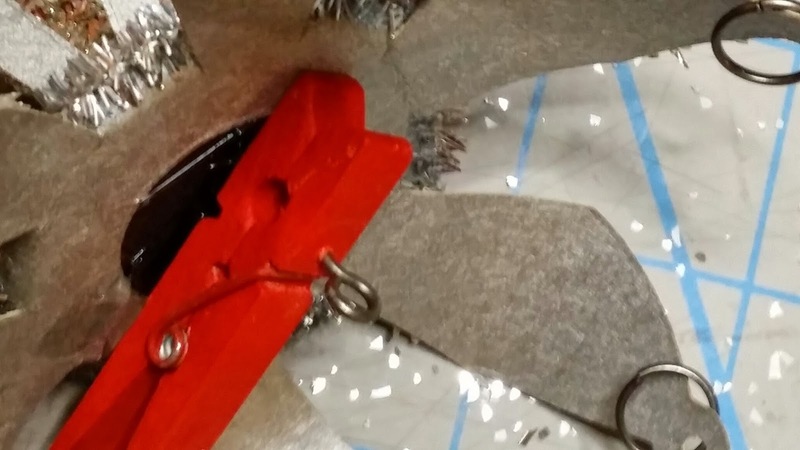 Note: Make sure you allow the ends of the pin to hang off the side. This will let you clip it to the tree with ease. Last, Add a dangly charm to the eye screw with another jump ring. 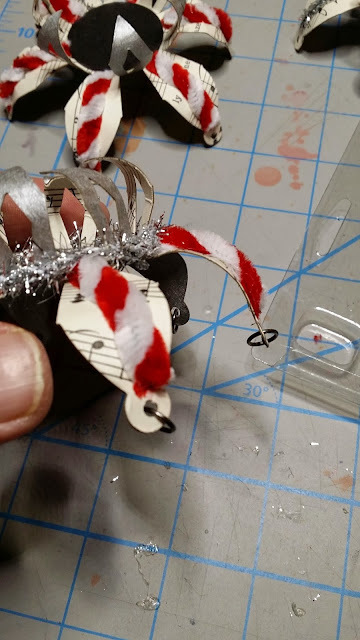 I just used a silver chenille stem and added a few baubles and twisted it on to the eye screw. The final touch....Add a candle to the candle clip and clip onto the tree branch. By the way, if you can't find a small candle, the candles I purchased were from Hobby Lobby. I found them in the wedding department. They are made by Lorren and you get (12) 1/2-inch wide by 6-inch tall candles to a package. 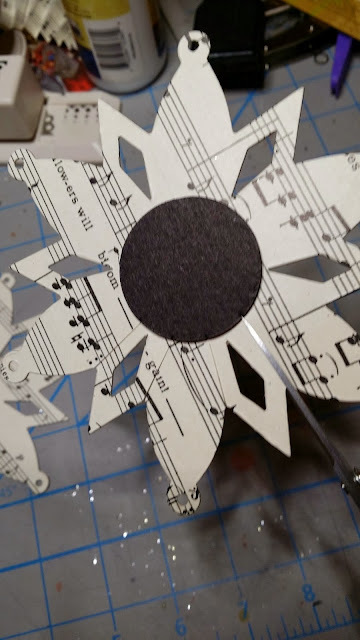 I did cut off about 2 inches from the bottom with Tim Holtz Scissors. I felt they were a bit too tall. They cut beautifully. That's it! Here's what I've been working on as my next project for the vintage bedroom tree....A Santa Hot Air Balloon using a bell ornament, a round ball ornament and some chenille stems. You've done a wonderful job recreating the nostalgic vintage candle ornaments! Thanks for the tutorial on how you made them. This whole series of vintage ornaments makes me want to make up a bunch for my tree...maybe next year, though. Super...thank you for sharing with us. Jim, the Christmas candle clips are so clever, your directions are awesome. The santa hot air balloon is amazing, how do you come up with this stuff. I can't wait to see this tree when your all done. Keep up the good work! Jim, I just love these decorations! I'm off tomorrow to get that snowflake die!! When I was still teaching we'd have Xmas Craft every Friday afternoon in the last Term before end of year hols. Gosh I wish I'd known about these. back then.The children and I would have loved making them. I really love trees that have this look.Too many are glitzy and shiny. They can be nice too, but the hand made dec's are special.! GET OUT OF HERE! These are Awesome!! Just out of this world. You just have the most wonderful ideas. Thank you so much! Can't wait to see what else you have to show. Once again, all I can say is WOW, AMAZING, AWESOME! Love the Christmas candle clips. so pretty and so Victorian. Where in the world do you come up with your ideas? The Santa hot air ballon is crazy wonderful! I love, love, love these!!! Amazing!!! Do all of the visions of ornaments dancing in your head keep you up at night? How beautiful. This reminds me of Christmas ornaments my grandmother used to make with me when I was a child. Thanks for the great tutorial. Wow - you have such clever ideas! Thanks for showing us how it's done. Love these! I so appreciate how you show us to use our dies in different ways. It makes those crafty dollars go farther. Looking forward to seeing the completed tree. These are beautiful!! Gives me an idea to use some of the scraps I sell! Breathtakingly beautiful!!! Your imagination is boundless, Jim. Thanks so much for the great tutorial! WOW !! 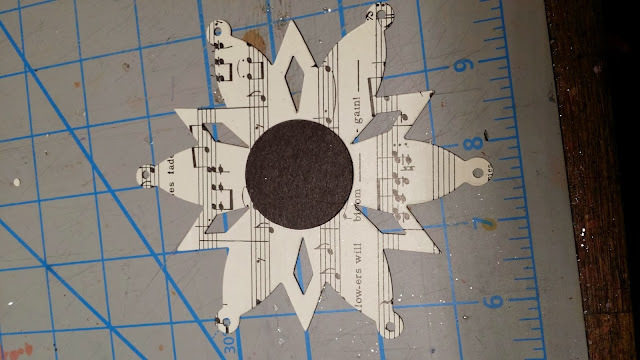 Such creative use of a snowflake die...my my, my ... and great tutorial too!